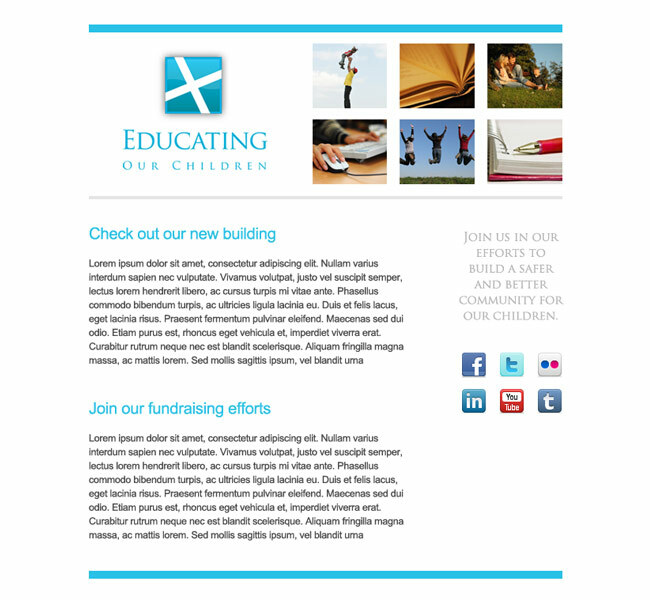 This non-profit group in Washington needed a corporate and professional email template that they could use for sending emails to investors and people in the community. They wanted to spread the word about the new company and wanted to do it with a classy look and a professional style. We added some images in the template to communicate the fun and educational aspect of what they do, but kept the style minimal and clean because of the audience they were targeting with these emails.